You never said thank you. And you'll never have to. We did our job. We’d do it again. February 18, 2012 – The Never To Yield Foundation was recently excoriated by an Auburn journalism professor on an Auburn-friendly blog (and in message board postings) for its position on Evan Woodbery and his employer the Mobile Press-Register. The professor and the blog that posted his commentary are certainly entitled to their opinions and we at the Never To Yield Foundation don’t begrudge them that. It would have been nice, however, had the professor made use of the “reader” portion of the blog’s title and read our position for what it actually said rather than what his offended sensibilities assumed it did. We’re not going to respond to all of the self-righteous posturing, but we do want to address a few key points. We run our site the way we run our site.. You want to criticize us, roll the dice and take your chances. We eat breakfast 300 yards from 4000 rivals who are trained from birth to attack us, so don’t think for one second that you can come down here, flash your journalism degree, and make us nervous. Would it really serve any benefit if the citizens of Gotham knew that Batman was really Bruce Wayne? Would that help the caped crusader fight crime? Ok, that’s probably over the top. We’re kidding. Really. Pay no attention to that signal in the sky. Evan Woodbery is a paid journalist. He receives compensation for his efforts, his bylines are critical to his job performance evaluations and can help him build a professional resume. The men and women who contribute to the Never To Yield Foundation’s content are not paid journalists. We are advocates. We do this because we believe in what the Foundation represents. Journalist. Advocate. There’s a difference there. We choose to remain anonymous because it does not give those who hate Auburn with the heat of a thousand suns an opportunity to attack us on a personal level. We want the discussion to always be about the topic, not the personality of the person who raised it. We live in a world that has rivals, and those rivals have to be guarded against by men with guts and conviction. Who’s gonna do it? You? You, Mr. Professor? If this were our vocation, we would all gladly and proudly put our names to the work. Since it’s not, we don’t. That’s not going to change. Out of curiosity we checked out a number of the editorial pages in local and national newspapers. Amazingly few of the editorials on those pages were credited to an author. So even if we wereprofessional journalists (we’re not in case that point hasn’t been pounded home yet) there’s an established precedent for editorial opinions presented on the behalf of a group to remain anonymous. Newspapers don’t put names to editorial opinions? We’ll leave that for fans of irony. As to the issue with Woodbery, the blog’s response took the stand that the Never to Yield Foundation questioned his ethics or professionalism. That’s simply not the case. It’s a straw man argument, actually. The professor took an assumption and crafted an eloquent argument against it. Too bad the assumption was false. We didn’t question Woodbery’s ethics or besmirch his “journalistic integrity” (a term we find laughable on its face, but that’s another issue altogether). We didn’t call for his firing. What we did was give public voice to the scores of Auburn fans who reached out to us over the past year. We expressed the opinion of those many Auburn fans who feel, right or wrong, that Woodbery’s articles perpetuate a long-standing negative bias toward Auburn by the Press-Register. Until last week we took no action on those requests. It’s not our place or intent to go on head-hunting missions or threaten people’s jobs unless those people are attempting to damage Auburn purposely and with malice. Woodbery never fit that bill. When a position came open to cover the Alabama beat with the departure of Izzy Gould from the al.com family, however, we saw an opportunity to provide an effective solution that had the potential to appease the aggrieved Auburn fans while simultaneously benefitting Alabama fans. The fact that so many people have expressed their opinion to us — and the fact that Woodbery himself admits to hearing the same complaiints — clearly illustrates that a perception of bias exists. That was our point, a point clearly missed by the non-reader. It’s not Woodbery’s professionalism. It’s not his integrity. It’s not even whether or not true bias exists. The entire focus of our original piece is perception. For reasons that can’t be altered by us or by Woodbery, the perception that there could be bias persists. We allowed for the fact that Woodbery might be constrained by editorial decisions that were out of his hands. We cast no aspersions on his abilities or ethics. We simply remarked on what has been conveyed to us time and time again by readers of al.com and the Press-Register. We offered examples of why that perception exists. We didn’t create the perception but we would be remiss in our role if we didn’t comment on it. We happen to think that the average citizen is just as intelligent, just as observant and just as perceptive as your typical journalism professor. We believe their voice carries as much — no, more — impact than his because they are the consumer. They are looking at what is written and said through the eyes of the only true arbiter of value. What they are looking for in their news and information isn’t necessarily what a journalism professor looks for. The fact that the average reader sees something that sparks their ire, concern and comment has merit. Whether another journalist sees it the same way is less relevant than the fact that the mass perception exists. It doesn’t really surprise us that some of the most vociferous support comes from fellow journalists. That’s a little like getting Alec Baldwin’s opinion on Ben Affleck’s humanitarian efforts or having the Republican Senator from Arizona tell us what a great job George Bush did. Qualified to comment? Perhaps. Looking at the issue from a completely different perspective? No question. In another segment, the other blog attempted to frame a radio host and Fox Sports contributor in the same light as a program’s daily beatwriter. Ridiculous. Seriously ridiculous. There’s no comparison. To attempt to pass those two situations off as analogous is extremely deceptive. It’s so ridiculous it bears no further comment. Our existence, while grotesque and incomprehensible to you, protects virtue. You don’t want the truth because deep down in places you don’t talk about at parties, you want us on that wall, you need us on that wall. The bottom line is that when so many Auburn voices were calling for someone to step up and respond to the scurrilous attacks that were being launched against our players, our program, our coaches, our fans, our students, our staff and our university a year ago we did it. We stepped up. We turned the tables on Scott Moore’s lies. You’re ******* right we ordered the Code Red. We called out myriad others who inaccurately and unfairly assaulted Auburn in print and other media. We shined the light on the lies being told. We showed Danny Sheridan to be a fraud. In the end we were vindicated when everything we said proved to be true. What were other Auburn-centric sites doing while Auburn was being dragged through the muck? Posting pictures of girls in hot pants? Displaying archived shots of 70s watermelon spitting contests, perhaps? Digging up fraternity photos of coaches? Not that there’s anything wrong with that, it’s an entertaining diversion. It’s not why we’re here. We have neither the time nor the inclination to explain ourselves to those who rise and sleep under the blanket of the very protection we provide, then question the manner in which we provide it. We prefer you said thank you, and went on your way. It’s easy to stand on the sidelines, wring your hands and fret over what others are doing. That requires no effort. Armchair quarterbacks are a dime a dozen. Those who can do. Those who can’t gripe about what was done. Or teach. Or both. Finally the professor also complained about a response to our article that didn’t make it to the comments section of this site. Now there’s a crime. Every newspaper prints every letter to the editor ever written. Right? For what it’s worth, there were more than 4,000 responses that didn’t make the cut. Some were vulgar. Some were too long. Some were repetitive of points already made. Many were automatically relegated to the spam folder based on established system criteria. Some simply got culled as the system tried to manage the non-stop flow. We don’t know (and we don’t care) what happened to that one out of 4000. The arrogance of assuming that what one alleged journalist supposedly wrote as a reply to a blog post has so much merit that its loss must be repeatedly mourned on multiple blogs and message boards is astounding. A multitude of posts supporting our position were rejected for various reasons. Numerous responses defending Woodbery and criticizing our position did make the cut. To suggest that one was rejected because we feared an alternate opinion is asinine. Note: In a comment after the post on the other blog, the journalism professor notes that he didn’t identify the person he claims wrote the reply because he wasn’t initially able to get permission to do so. But he feels compelled to blast the Never to Yield Foundation for not posting a comment when we had no confirmation of its source? We’ll also leave that one for fans of irony. Or double standards. Or both. Here’s the real problem with this entire situation. The other blog’s response to our post and the necessity of this retort is exactly the sort of thing the Never To Yield Foundation was created to help combat. It’s bad enough that we suffer from external attacks. Must we also air our own differences in a public manner? Our goal was to help give Auburn people who felt they had no voice a chance to be heard. We’ve done that. We didn’t and we don’t expect every Auburn fan to always agree with everything we write. We’re happy to engage constructive dialogue when it’s presented in the proper fashion. We had no problem in giving Woodbery the opportunity to respond to our piece. We don’t expect or appreciate high-minded, sanctimonious attacks from those who are supposed to seek the same goals we do. We’ve got an email address. It’s posted on our site for all to see. if you’ve got an issue with what we write we want you to tell us. If your objection is valid and coherent, we might even give you the opportunity to provide that opinion to our readers. We gave Woodbery that respect. That’s how we do things. When Alabama fans complained loudly about what they perceived to be a slightly pro-Auburn stance by the Birmingham News; when they cancelled subscriptions en masse and demanded multiple firings, one of the editors of the News was compelled to take to the radio airwaves in defense. When a group of Auburn fans expresses concern about a pro-Alabama slant to the Press-Register and offers a suggestion that might alleviate the situation — one that does not call for boycott, firings or cancellations, by the way — they’re accosted by their own. Once again we’re reduced to infighting. We’re relegated to defending ourselves not just from the attacks that come from the outside but from those within. That’s the real shame. You have no idea how to defend a family. All you did was weaken it, Prof. That’s all you did. Sweet dreams. Don’t guess you’ve ever seen A Few Good Men. Ed Cater Class of 1974. Nice response but I bet Carvalho still misses the point. not all writers in this state to shame! Well said and well done! WDE forever!!! NtY has been a breath of fresh air in the realm of erwise foul and putrid media in Alabama. You have nothing to apologize for and I’m glad that you didn’t. Keep up the good work! Anoyher great article from NtYF. Thanks and WDE! Great article. Thanks and WDE! You looked at bammer boards? Ewwww! Another great article. Congrats to the Men’s SEC swim team, and the 16th conference championship in a row. 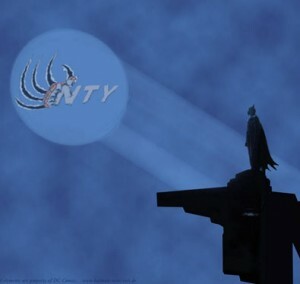 Keep up the great work, NTY has filled an important niche. I love what the Never to Yield Foundation is doing! Your writing is superb and your goals are wonderful. Keep up the good work! It does make a great difference. What Carvalho and other Auburn apologists like him don’t seem to understand is that Woodberry is only a minor symptom of a chronic condition which has plagued Alabama state journalism for all time. We don’t expect to get an Auburn slant from the state media, in general. We know they are biased towards all things Bama, and we know that the print media are especially vulnerable to falling in lock step because they are so reliant upon advertising dollars from a subscription base comprised at least two-thirds of crimson faithful. But there’s no real way to get around it – Auburn men and women want someone who actually loves Auburn to write about Auburn. We want someone who feels the way about Auburn that we do. We want someone who doesn’t think it’s acceptable to run down Auburn just because it makes him seem neutral. We don’t want someone who is neutral covering Auburn! Is it too much to ask that whomever covers the Auburn beat, and writes what few Auburn articles make the papers, to have a pro-Auburn bias? To refuse to take every little bit of negative innuendo and run falling over themselves to their editor to report it? Aren’t there plenty of other “journalists” in this state willing to drag down Auburn on whim and rumor? That’s the rub, and always will be. The learned prof needs to keep his head in the books and keep it out of battles being waged far afield from the realm of academia. As an Auburn grad and an “old timer, ” I think the NTY Foundation is fantastic. I have now read quite a few of the articles, and they are extremely well written! There is so much trash out there (ala Paul Slimebum), that it is truly refreshing to read these. I would not read or listen to a muckraker like PF if you paid me $100 bucks per. His credibility is long gone. Ten years from now if AU is on top of the world and UA on the bottom and PF thinks we are wonderful, I couldn’t care less. I don’t know why any AU fan would ever give that guy a minute’s time. However, it is great to know that the NTY Foundation will respond to the low rent stuff that emanates from such sites. An excellent point was made about newspaper editorials. No, they usually do NOT contain the name of the individual who authored the editorial. And as for the “mystery prof,”, you should be proud to see such outstanding journalism from Auburn folks! Keep up the outstanding work NTY, and WDE forever!!!!!!!!!!!! I would like to say that this is one of the best written articles I have read in quite some time. Thank you so much NTY these articles are well written and express the feeling of us Auburn fans that have for so long wanted someone to stand up and speak our feelings.You are doing a wonderful job and I can hardly wait to read your next article. I hate the fact that We have to go at each other like this but I can not understand how any Auburn fan can defend Woodberry it is long past time for us to stand up and defend our reputation against these TEA-BAGGIN UPDYKE BAMMERS. Keep standing that wall I Got your back what ever it takes. WDE!!! !